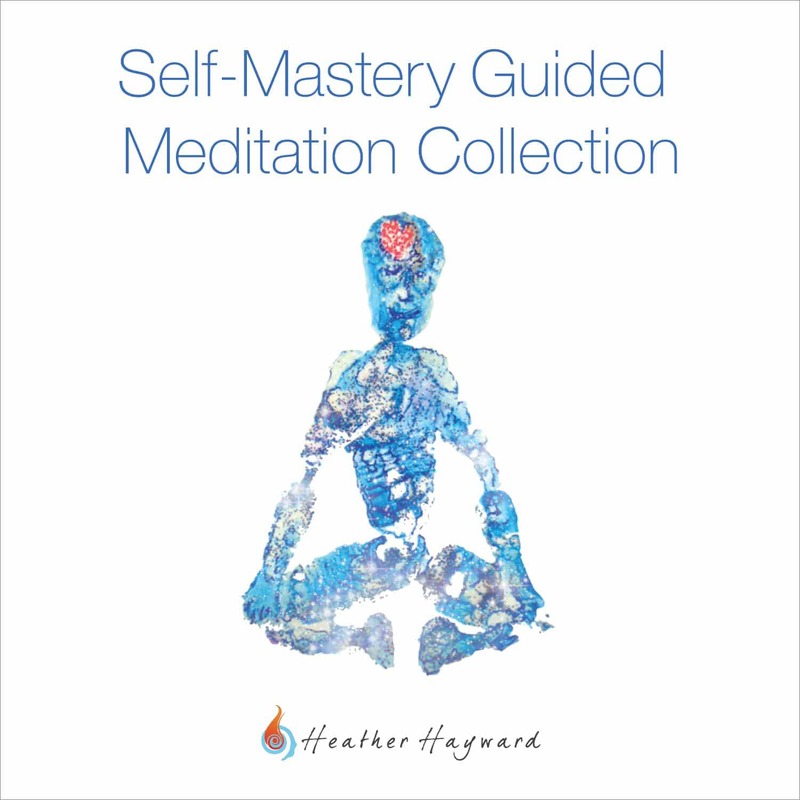 The Self-Mastery Guided Meditation Collection gives you all of the audios within the Self-Mastery Collection (“Inspiration” and “Restoration”). Get the complete set of affirmation infused guided meditations to help you break free of mental blocks and unlock the depths of your potential. Whether you are seeking inspiration, motivation, rejuvenation or restoration, this audio series will make a positive change in your thinking by building new neural pathways. Rest with Deep Sleep Meditation. Active Meditations are affirmation dominant and designed to engage your brain consciously and physically with the affirmations of the given meditation. Passive Meditations bring music and affirmations into equilibrium, optimal for internalizing the positive messaging while focusing on mindful relaxation. Subliminal Meditations offer affirmations at inaudible levels, allowing your subconscious mind to receive the benefit of the affirmations, while your conscious mind can stay focused on other activities. With the flexibility of these three kinds of meditations, the Self-Mastery Guided Meditation Collection is suited for every mood or circumstance. 6 Hours of Guided Meditations! Often times, you may find yourself feeling disconnected and ambiguous about your direction, purpose or place in life. These empowering affirmations work to clear out the mental stumbling blocks inhibiting clarity of thought, and retrain your brain to focus on what is and what can be. The Subliminal versions deliver the same messages at volumes just below the mind’s conscious awareness, affording the opportunity to internalize the statements without the distraction of words. The results we have seen coupled with the universal application of Be Still and Know have made it a top favorite among our customers. When you are stuck in a loop of negative and limiting self-talk, Be Still and Know will supply a much-needed shift in perspective. By clearing out detrimental inner banter, it clears the space for and supplies the positivity and focused thinking needed to make constructive change. Listen to Be Still and Know any time you need to get in touch with and focus your HEART and MIND. This auditory tour guide will break you out of the shackles of doubt and worry and bring your spirit to a place of calming tranquility. Experience My Goals acts as a mini-coach between your ears. These empowering affirmations fortify beneficial attitudes, thought patterns and habits that create success. Included are a 15-minute track for when you need a quick boost of encouragement and a 45-minute track for when you desire a full motivational overhaul to catapult you towards your fullest potential. Experience My Goals starts by setting your mind up with vivid mental imagery that sets the stage for meaningful reception. Then, powerful and targeted affirmations permeate your neural pathways, eliminating negativity and conjuring effective and productive thoughts and attitudes. We suggest that you listen no less than 3 times per week to keep your mind focused and your goals in crystal clarity. Visually picturing and feeling your success frequently with Experience My Goals will create new neural pathways in the brain, building your mind’s highway to success. In work and in life, we are constantly inundated with information, deadlines, and obligations that trigger our stress response. This subsequently has a negative effect on our health, memory and decision making, so it is vital to clear your mind and body of this toxicity whenever it arises. Unwind was created with the purpose of relaxing, restoring and resetting the body’s nervous system to expel stress and usher in tranquility. Unwind utilizes calming affirmations coupled with unparalleled, healing music to bring you into a state of deep, restful and rejuvenating peace. No matter what life is throwing at you in a given situation or time period, Unwind consistently guides you back to a space of calmness and clarity. This track is perfect any time that you need reprieve. Unwind can be used by professionals to clear their head before a big meeting, by students before a big test, to relax before going to sleep or generally as a tool for anyone searching to stamp out overwhelming and negative tension affecting their life. With the never-ending flow of information via email, text, social media and the harmful effects our personal electronics have on our sleep cycle, it is increasingly harder to turn off our minds and fall asleep at the end of our day. Pressures and anxiety of work and life seem to creep into your mind just as you curl up in bed, leaving you staring at the ceiling, wondering how long until you finally sleep. If this is sounds familiar, you are not alone and Sleep is your answer. Sleep’s elongated, soothing, and gentle narrative meanders here and there, lulling you to the edge of wakefulness with softly spoken words and a dreamy soundtrack. It not only works by bringing you to sleep in the moment, but retrains the brain to respond differently to the natural practice of tossing and turning. This one’s easy! Use it whenever you want to go to sleep! If you would just like to learn more about the benefits of Meditation, check out The 76 Scientific Benefits of Meditation.